Elco introduced its first electric outboard this year, available in 5- and 7-hp equivalents, and a 25-hp model is planned for 2015. Electric hybrid technology has become commonplace in the auto industry — each of the major manufacturers builds one. Toyota, with its popular Prius leading the way, now offers 15 hybrid models and sells about 6 million hybrids a year. Look around; hybrids are in every parking lot. The Electric Launch Co., now known as Elco, was founded in 1893 (yes, 1893) and subsequently became a part of Electric Boat and General Dynamics. Elco now finds itself positioned to usher hybrid technology into the mainstream recreational marine market. There are other competitors, most notably Germany’s Torqeedo, but Elco, under ownership led by CEO Steve Lamando, is focused on pushing the barriers of horsepower culled from electric marine motors to new limits. Lamando says his company has partnerships with at least a dozen OEMs, including Beneteau. 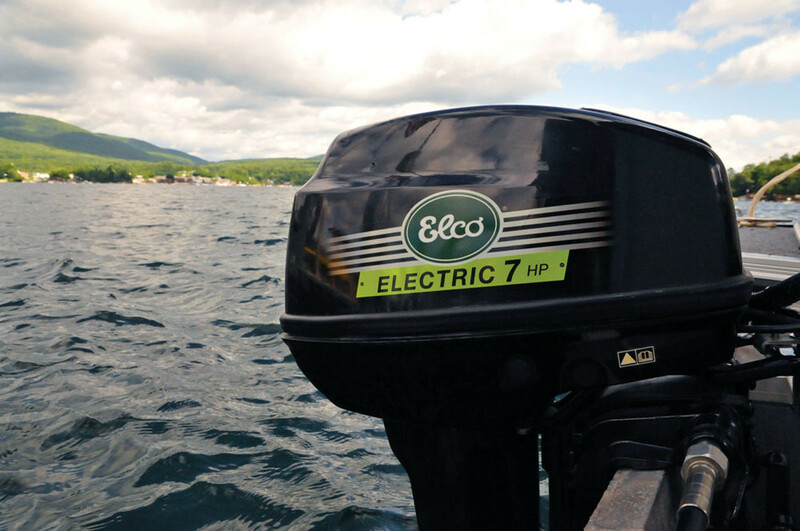 Elco offers six patented electric inboard motors ranging up to a 100-hp equivalent, and the company launched its first outboards, including 5- and 7-hp models, this year. A 9.9-hp equivalent will debut in early 2015, and 15- and 25-hp equivalent outboards will follow later in the year. Lamando, 50, grew up in upstate New York. The Lamando family purchased the small regional wooden boatbuilder Hall’s Boat Corp. in 2006 and acquired Elco in 2009. The original Elco won the contract to build 55 launches, each 36 feet, to shuttle visitors to the 1893 Chicago World’s Fair. Riders were duly impressed by the quiet, clean propulsion in the days of steam and naphtha power. More than a million people rode the launches that year. Industrialist Henry Ford and inventor Thomas Edison were among the celebrities who bought Elco electric launches and took them back to their estates. After establishing itself as a defense contractor, building both electric- and combustion engine-powered boats — Elco trailed only Chris-Craft as the top recreational boatbuilder in the mid-1940s — the company was merged with General Dynamics after World War II. Elco was revived as a standalone company in 1987 when Joe Fleming purchased the naming rights with the intention of building replicas of the old Elco launches. The company, based in Athens, N.Y., on the west bank of the Hudson River, was then acquired in 1996 by another area resident who was inspired by the electric boats on nearby Lake George. 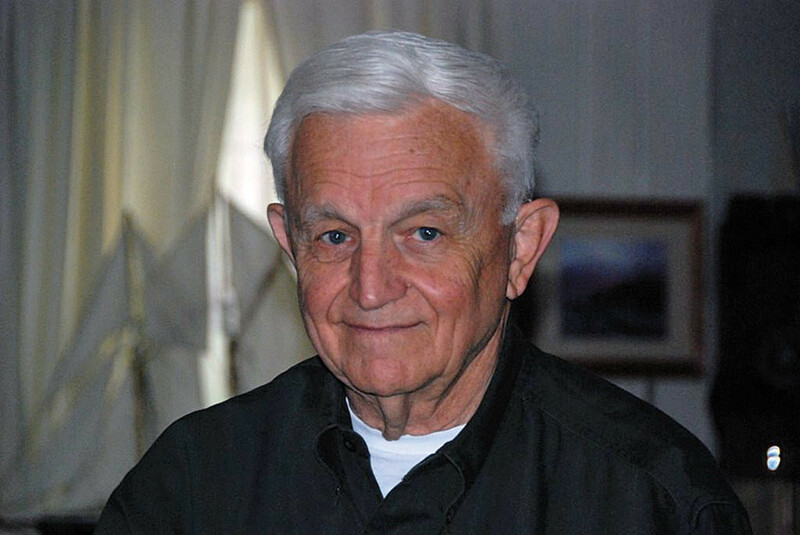 After Lamando’s family bought Elco, Fleming returned as a design engineer. Lamando and Fleming sat down recently for an interview with Soundings Trade Only. The workboat market is heating up for Elco. Here twin Elco EP-1000s power a 40-foot dredge tender operated by the New York State Canal Corp. The motors are powered by 36 AGM batteries. Q: How has Elco evolved over its 121 years of existence? A: Elco has an interesting story. It’s an amazing company and a big part of American history. The company was launched at the World’s Fair in Chicago, where electricity was the theme, and won a contract to build 36-foot launches that were powered by pure electric. It was quite an accomplishment and those launches shuttled about 1.2 million people around that fair. It was completely quiet, and up to this time, besides sailing and rowing, the only modes of marine transportation were steam and naphtha. Both of those were noisy and dirty, so electric power was an amazing advancement. Elco built more than 500 PT boats during World War I and more than 600 in World War II, including John F. Kennedy’s famous PT 109. Most of the boats the company built after 1910 were not electric boats. They were the second-largest production boatbuilder up to about 1948. Chris-Craft was No. 1 as far as units, but Elco did have a much broader spectrum of boats. The company was then purchased by a battery company that also owned what would become Electric Boat. In the 1940s the owners decided to focus on building a defense contract empire and Elco did not re-emerge on its own as a recreational boatbuilder until the 1980s. 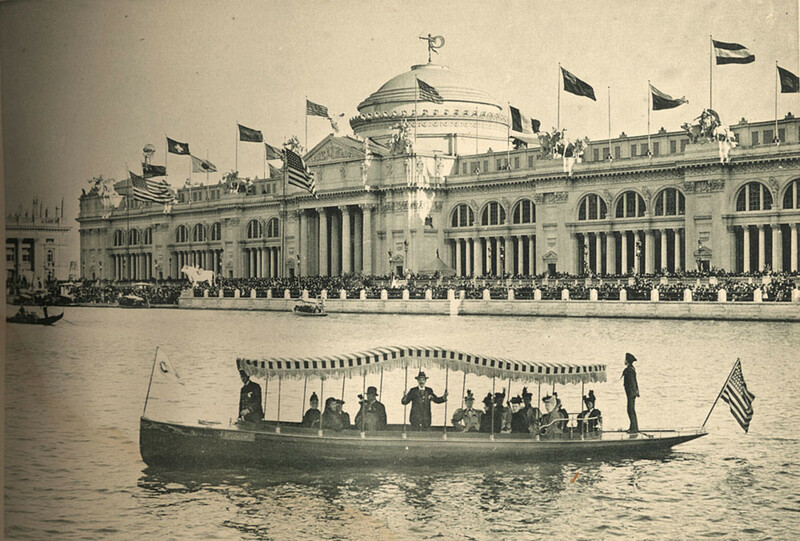 One of the 36-foot launches at the 1893 Chicago World&apos;s Fair, where the Elco brand was established. Q: Since you became CEO, what course have you charted? A: Elco has been through various owners over the years, but until I got involved four years ago, the focus had been building the original launches as replicas of the ones at the World’s Fair in Chicago in sizes from 19 feet up to 35 feet. We still build [those] because it’s been so much a part of the company history. But other than that, we are not a boatbuilder. There is a certain client base for our launches that favors the quiet, clean boats with fiberglass hulls, but accented with a lot of mahogany, oak and brass. They’re usually someone’s second or third boats for inshore and on lakes. But in the last four years we made the strategic decision to focus on electric propulsion for the marine industry. As we saw global developments with fossil fuels, the Middle East, where the car industry was going, where battery technology was going in terms of lighter and more power, we decided we also needed to jump into this growing market. A lot of the benefits are obvious — like clean and quiet. There are other benefits in terms of efficiency and pound for pound. On average, there’s about one pound of weight to one pound of horsepower, and that’s actually becoming like 3 to 5 hp per pound of electric. Pound for pound, electric motors are now more powerful than combustion motors. Whereas the highest you can get from a diesel engine is roughly 35 to 40 percent efficiency, gasoline 25 to 30 percent, electric motors are already operating at better than 90 percent right now and we will eventually push that up to the 98 percent area. The technology of the electric motors, inboard and outboard, is viable today and will still be viable 25 to 30 years from now from the standpoint of efficiency. The market will see it and want it. The biggest limitation for electric power in general has been battery technology. The simplest way to look at this is a shot glass of diesel or gas. In order to come up with that same amount of energy you’d need, at one point in time, as many as 15 shot glasses of battery power to get that same amount of energy as fossil fuel. Now it’s more like six or seven glasses. It’s moving toward one to three glasses, and then ultimately, at some point, there’s really not a reason to have a combustion engine anymore. Joe Fleming revived Elco in 1987 an now serves as a design engineer. Q: Where do you see opportunities for Elco? A: The market has clearly decided alternative or hybrid power is something they want, turning what was once a novelty into a mainstream product. Our goal is to put electric power into all of the OEM boats on the market. Not solely electric, but more as a support on the power side to all of the boatbuilders offering both inboard and outboard, with parallel systems, or what’s called a serial hybrid, where we leverage the generator on a boat. There are applications where pure electric makes sense, and Tesla’s proved that, but there’s something to be said about wanting that combination ­— the best of both worlds, so to speak. Our focus is really moving more electric power into the marine industry, both on the recreation side and the workboat side, which includes water taxis and tugboats. What’s interesting in that arena is we’re finding a lot of opportunity because the return on investment is so strong. The big advantage for the workboat side is maintenance because our electric inboard motors are rated for 50,000 hours and there’s only one moving part, so your cost of maintenance and management goes significantly down. We had one client who has given us some numbers tell us they were spending about $200,000 a year running a 60-foot water taxi that pretty much travels all day at about 5 or 6 knots. They converted one taxi from combustion to electric propulsion and cut their operating cost down to about 25 percent of that number, to approximately $50,000 to 75,000, versus $200,000. Q: With a 100-hp equivalent inboard motor, has the electric market leveled off? A: (Joe Fleming) There’s a government-led partnership that includes industry and academic researchers named the Joint Center for Energy Storage Research, which has $120 million in funding from the U.S. Department of Energy. Their stated goal is that within five years the technology will be there to generate five times the energy density in lithium batteries at one-fifth the cost. Battery technology is probably the Holy Grail of electric propulsion. Prior to the 1880s the only way to move a boat was by wind, current or oar. Then came steam, naphtha, electric, gas and diesel. The market sorted that out in the early 1900s and decided that gasoline and diesel met the needs better, and I believe we are at a turning point right now where technology is evolving and the market is starting to speak. As the public cast aside steam propulsion, I believe that in this century we’re going to be casting aside diesel and gasoline. Of course, the steam engine did not go away that quickly; it took the better part of four decades, but this is here to stay. There’s no question about it. It’s just the speed of adoption. Battery technology is much better than it was two, three, four years ago, and costs are coming down. The more people use stuff, the cheaper it becomes. We have a customer who now has a 36-foot diesel hybrid sailboat. He can cruise about 1,200 nautical miles on 50 gallons of diesel, running the genset and batteries, whereas if it was a straight diesel with the same exact horsepower going the same exact speed, he would only be able to go about 250 nautical miles. The repowering market remains a mainstay of Elco&apos;s business model. 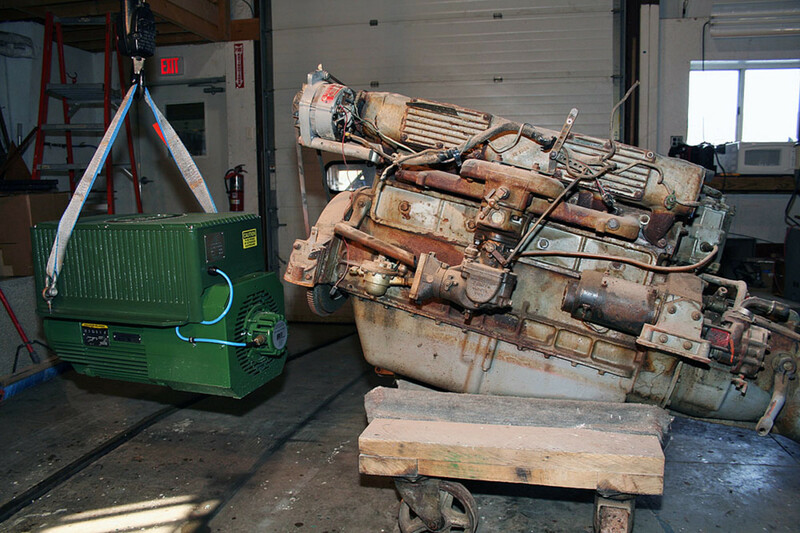 Here an old diesel is swapped out for a new Elco electric motor. 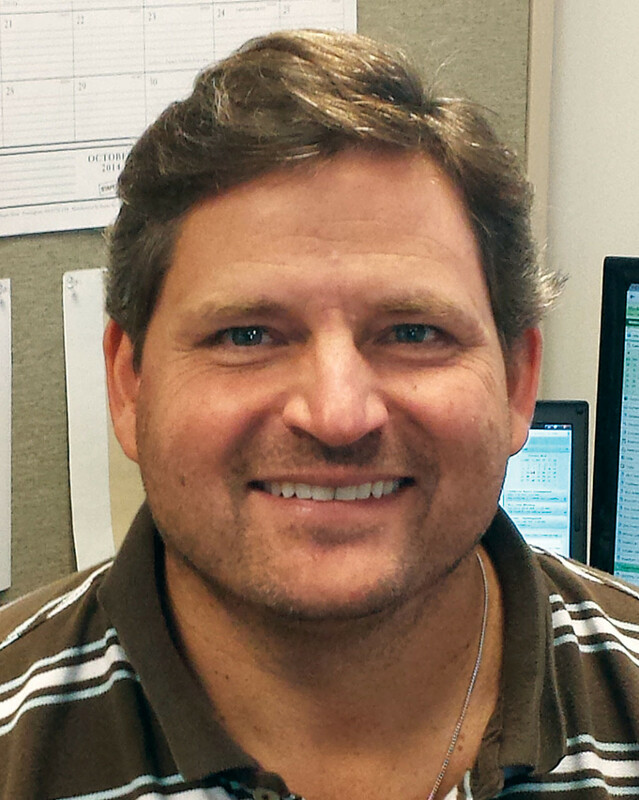 Q: How hard is it to sell vendors and consumers on hybrid power technology? Q: What’s your game plan for Elco? A: When we look at our business model, our biggest challenge is growing with the market and not too far ahead of the market because there are obviously costs in R&D, engineering and exhibiting at boat shows, but over time it’s just a matter of at what speed do we grow. There are billions of dollars being invested in this industry. We have numbers from some research that says this entire market is going to grow dramatically. The overall hybrid and electric vehicle market is going to grow to about $334 billion by the year 2024, of which the marine segment is expected to grow $7.3 billion. So we’re talking about big numbers from almost nothing five or 10 years ago. Q: Can you talk about the evolution of the electric outboard introduced this year? A: Even prior to my involvement with Elco, it was something on the R&D board. As I got involved and started to develop our strategy, we spent a lot of time looking at the market and what was offered. We knew at some point we were going to offer some kind of outboard. We got going with inboard because we were an established inboard company with our launches. In the last four years the Elco outboard was something that became more important, and in the last two to three years we’ve spent a lot more of our time on it. We decided which direction we wanted to go, what stages of power we wanted to offer, where we wanted to jump in the market. Joe and some Elco engineers and outside engineers decided how to go about it. We stuck with our AC models because we felt it was important to be water-cooled and the motor out of the water. And we also really wanted to be focused on a little more power than what was out there. We currently have a 5- and 7-hp equivalent, we’re coming out with a 9.9 in the first quarter of 2015 and later in the year we’re coming out with a 15 and a 25. We did a lot of homework so we could offer these options rather quickly. While all of the inboards are manufactured and assembled in the U.S., the outboard components are manufactured in the United States, Asia and Europe, with final assembly in Asia. The two main reasons we decided to develop the outboard was customer acceptance, which is No. 1, since we’ve tracked the growth of outboards at the expense of IOs. With an outboard, you put it on the back of the boat and plug right into a battery set or hook up four batteries and you’re good to go. Literally out of the box. You could be operating in an hour. Our biggest market for outboards we’ve seen so far is in pontoons and in lot of small fishing vessels, like jonboats. As we increase our power, we’ll see more markets. We have one customer who restored an old 18-foot Chris-Craft that needed an outboard, and he bought our 7-hp and he just loves it. He’s going around his lake silent and clean. The other big appeal is zero maintenance. You don’t have to worry about points and plugs, condensers or taking it to your dealer for a tune-up every year, and the fuel challenges these days with the additives in it and having to worry about your injectors. (Joe Fleming): The goals were to keep it light, reliable, familiar and also a unit that can be easily repaired after striking a rock with the skeg, so we went with a standard off-the-shelf prop. As far as the challenges go, the whole lower assembly is designed for marine use in saltwater or freshwater. All of the metals used in the unit are intended for use in salt water. The motor itself is sealed and it’s water-cooled. There’s a water jacket. And it’s a permanent magnet AC motor, very efficient, so the challenges were to keep it small, light, and reliable, and I think we’ve met the goals. 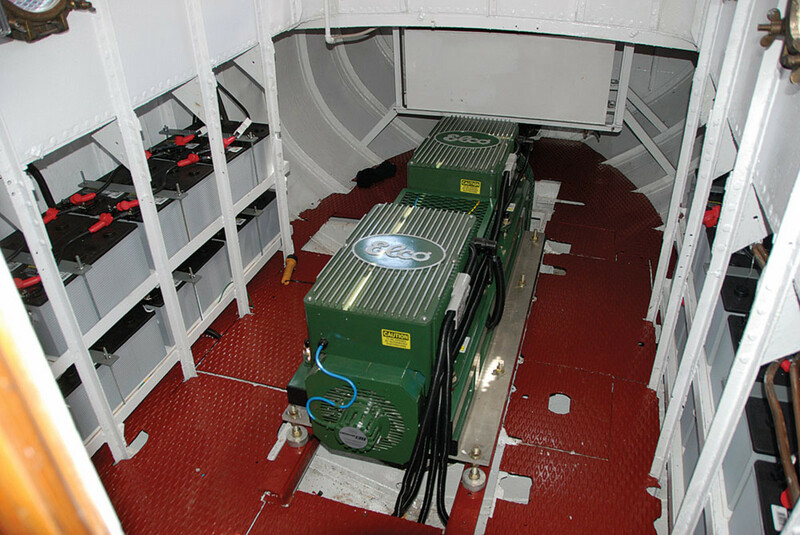 Q: What are the horsepower limitations for electric marine propulsion? A: (Joe Fleming): There’s no limitation on the power of an electric outboard except the batteries — the storage medium. Batteries are going in the direction of, certainly within the next decade, matching ounce for ounce the performance of gasoline and diesel fuel, so we can build the outboard to any size that’s practical and marketable. (Steve Lamando): The day — and it’s coming — when ounce for ounce, pound for pound, volume for volume, electric, gas and diesel become equivalent is the day when really it makes no sense to have a combustion motor. And it’s heading in that direction. It’s just a question of getting there from a technology standpoint, which is happening very quickly, but some folks will just want to run their combustion motor no matter how good electric gets. When you think about it, all of the new cruise ships are diesel-electric, all of our trains are diesel-electric, all of the new tugboats are diesel-electric, and cars are going hybrid or pure electric. I think it’s a generational thing, to some extent, but people are realizing we live on a finite planet and somebody’s got to start taking care of it. So it’s going to be a whole bunch of things driving it. Q: So just what is your market? A: Approximately 45 percent of our business is international, mostly Europe. One of the reasons is I think is they’re paying more for fuel, the No. 1 reason, and I think they’re already pretty advanced environmentally, partly forced on them through regulation, canals and lakes turning electric-only. Domestically, there has been a tremendous amount of growth in OEM. We’re probably working with about a dozen OEMs now, but a lot of them are under confidentiality agreements. We could have said we want to be an electric boat manufacturer and we decided we didn’t want to do that, other than our launches. We don’t see a lot of folks jumping into that market in any big way. We felt comfortable continuing that because we don’t want to be in any conflict with any of the OEMs. Our business model has been to help the OEM get set up for electric, and we use a combination of our own team and then there’s about a half-dozen other firms that we work with that have been spending a lot of time in the car industry. A lot of our best engineering and ideas come out of places where it has already been successful. A lot of money and years were spent designing and building the Prius and the Volt and the Ford Escape, and some of those folks have been helpful to us. They have produced a combination of safety, efficiency, design and engineering. Because of the challenges in the boating industry, OEMs have been reluctant to make that leap because of the financial burdens. But they’re seeing that the customers are actually starting to demand it. We have found that this has really been an end-user-driven demand. In addition to OEMs, we market to dealers, boatyards, folks who do a lot of work like repowering on boats, and a number of them are accepting of it on their own, but a lot of it is driven by somebody who wants electric power on their boat and they urge the dealer that they want to go in that direction. We’re getting calls from dealers who say they have a customer who wants this, even though it may be easier to replace the engine with another diesel or gas engine. Although the percentages are changing, specifically with OEMs gaining, I’d say our market is 55 percent dealers installing or repowering for their customers; 25 percent OEMs; and about 20 percent workboat and commercial. Q: How do you go about raising the profile of the Elco brand? A: We’re already in a good place today, given where battery technology has moved in the past 5 or 10 years, but the good news is it’s only going to get better. We have a saying that ‘seeing is believing,’ and we look at putting electric on a sailboat as making a lot of sense on a boat, but the owners of the boats on the next slip over are some of our best customers because they see how it operates and they like what they see. Where we sell in the U.S. is really scattered, but it’s in the states you’d expect — Florida, California, Texas, Michigan and Minnesota, in the Tahoe region, along the Chesapeake, quite a bit in New England. Right now we have about 40 dealers scattered throughout the U.S.
Q: Where do you see the electric market heading for the recreational boating industry in the next 10 years? A: We’re definitely behind the car industry. What you’re seeing in the car industry is probably about three or four years ahead of what you’ll see in the marine industry. I also think, as the EPA standards get stricter and some of the costs associated with that become more of a challenge, and as battery technology gets better, it will only get better for electric propulsion — and it’s here to stay; it’s not a phase we’re going through as a country and within the world. We have conversations with folks, especially in the car industry, and some of the innovations that are happening will ultimately get adopted into the marine industry, and what’s nice is the car industry has paved the way for the boat industry, and also a lot of the costs associated with engineering we’re able to borrow, from safety standards to engineering standards and the like. The clean and quiet aspect of it is pretty remarkable. It’s nice to be able to have a conversation on a boat. When it comes to electric motor power technology, I think we at Elco are in really good shape. I think we also adopted the right technologies, the right type of motor choice in AC models. It might have been easier to go DC, as a lot of other folks were already DC, and there was a lot more engineering needed with our choice of AC, so I think from that standpoint, I think we’re pretty far along. There’s always opportunity for improvement, but there’s also opportunity to grow our products. One of the reasons we went to 100 hp with our inboard was to serve not only larger recreational boats, but mainly your workboat market, water taxis, tugboats, etc. There’s definitely a market being served by your very large companies in the cruise ships, but there’s a void and we’re really the highest-horsepower inboard outside of the large ships out there.